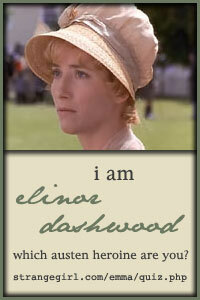 I know, I know I might be a bit early for Easter and I'm totally bypassing St. Patrick's Day. But... 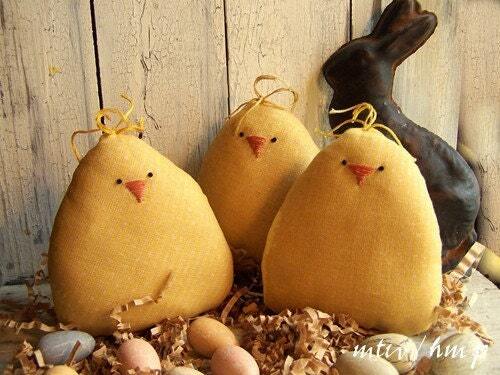 I just adore the Easter season and the Spring fresh decor. I love pastel colors, but at my house pastel colors really don't fit in most of the rooms. 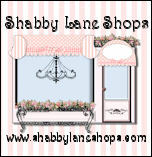 So, I kind of decorate with a more tattered shabby chic theme and need new decor items. You know that means, yep.... it's time to shop ! yay! 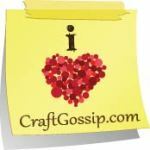 As always I want something unique and handcrafted, and with my craze schedule I don't have the time or patience for craft shows, so my go to place is always Etsy. 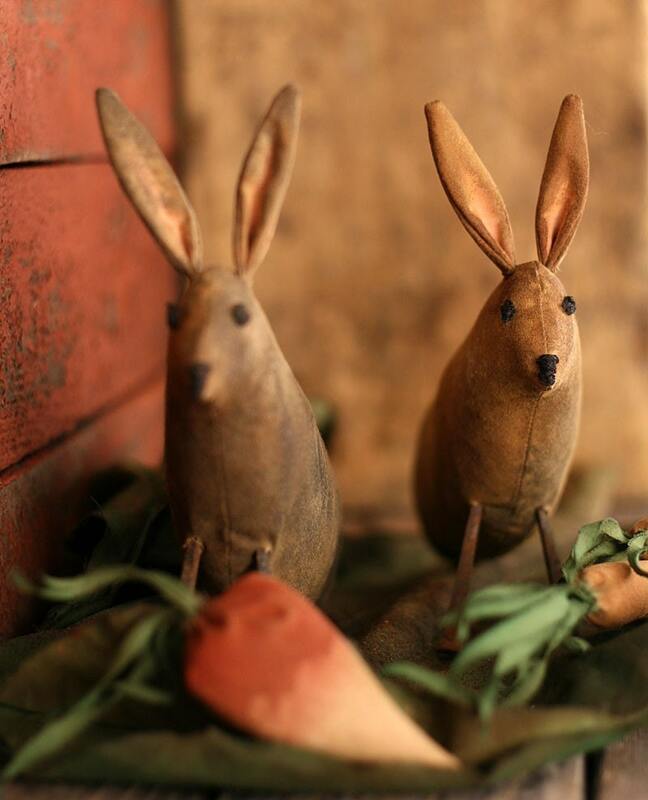 For my back den I'm looking for primitive, teas stained items and fell in love with these Primitive Folk Art Bunnies from Old World Primitives. or.... what about these totally cute little Chubby Baby Chicks from Harvestmoon Prims? I'm thinking for over the fireplace and to place over a really great 1800's mirror I'm thinking a book page or burlap wreath. 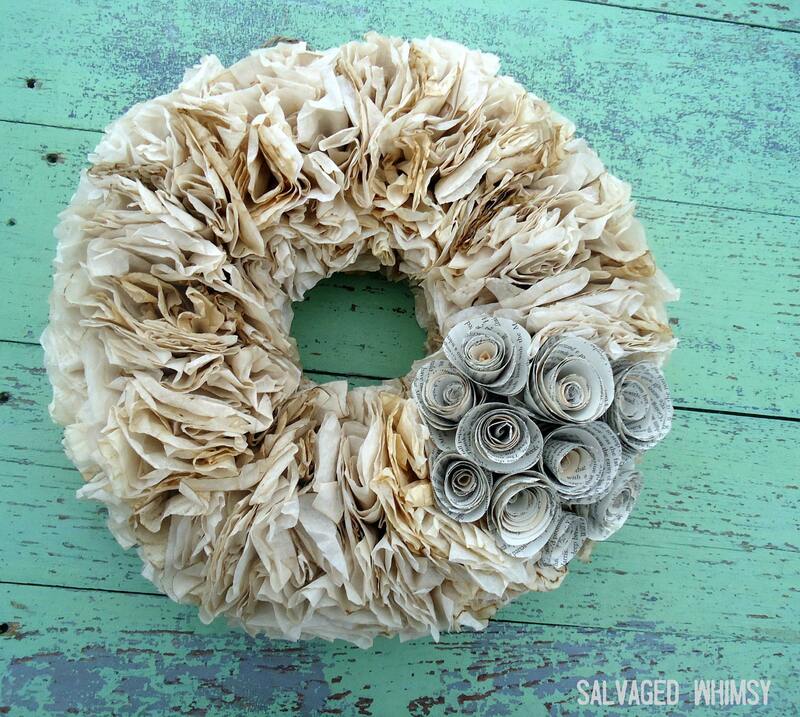 Love..... this Coffee Filter Paper Wreath I found over at The Salvaged Whimsy. I could make one, but wow that is a lot.. of coffee filters! And it's looks like she has the craft down pat, so it would be so much better than what I could make. 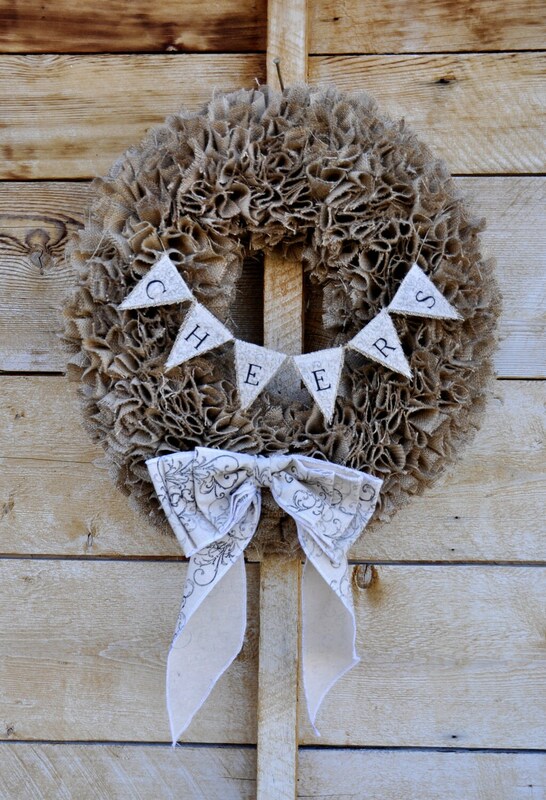 Ok, I'm totally loving the little banner adorning this Burlap Wreath from atcompanyb. I bet she would would make one that says Easter instead of Cheers. So, all I have to do know is actually make up my mind, which is not easy at all.